The cop leg! 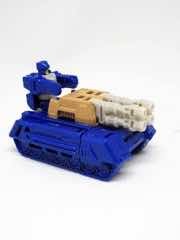 The Hasbro Transformers Generations Combiner Wars Protectobot Streetwise is probably gone, but maybe you can still find one. So read on, and come back tomorrow for more! 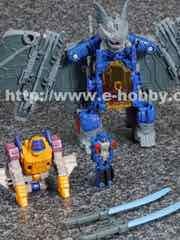 Via Tformers/Weibo/Cybertron Con: Cybertron Con 2016 - More Titans Return Display Photos - Hot Rod, Gnaw, Kickback, Voyager Optimus, More. Some interesting notes - Bumblebee opens to seat a Titan Master, while it seems Gnaw can have one ride in his mouth. 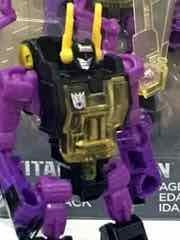 Also notable: Cybertron Con 2016 - Titans Return Sixshot Detailed Display Photos which show a puttied face to mask what appears to be a possible remold as Quickswitch. Pizza! 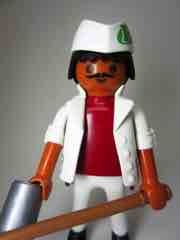 The Playmobil Special Plus Table Pizza Baker is a single figure, but there have since been other, bigger pizza sets released. So read on, and come back tomorrow for more! 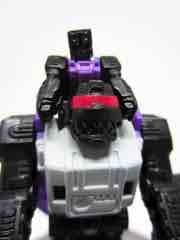 More Glyos - In Vending Machines? "These are notable in that they are - as far as I can tell - the first Glyos/Onell Design figures to get national distribution at big stores. The vending machines keep the prices low, and it cracks open the door for more neat ideas. Just a few years ago we were talking about the democratization of designer figures through a lower-price OMFG line, and now Onell Design has discovered that you can give the things away. Collecting them all, on the other hand, may prove tricky." You can call the distributors and order (or pick up) the figures now. Mattel Got Jurassic Park in 2018 Now? Go ape! 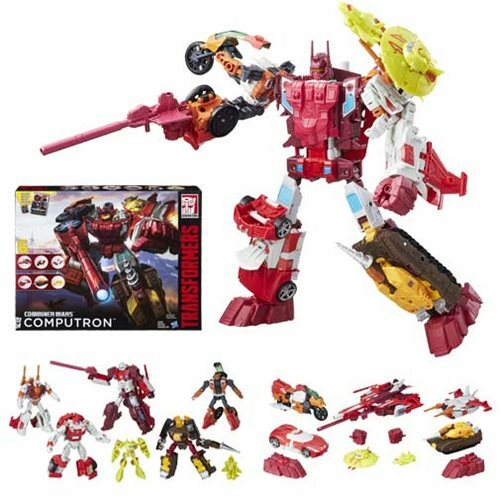 The Hasbro Transformers Generations Titans Return Apeface is a small take on a larger triple-changer that, I assume, isn't coming back. So read on, and come back tomorrow for more! 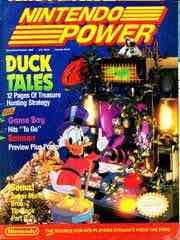 Via Archive.org: Nintendo Power! Most if not all of their paper debris is on here to read. It's a pretty fun walk down memory lane, and the artwork is worse than you remembered. 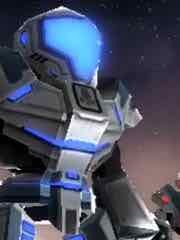 Via Go90: Transformers: Combiner Wars S1:E1 The Fall! No joke, the first minute is just two robots punching each other repeatedly. 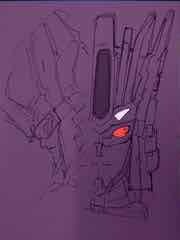 Menasor, Windblade, Computron, and a new character show up for your amusement. 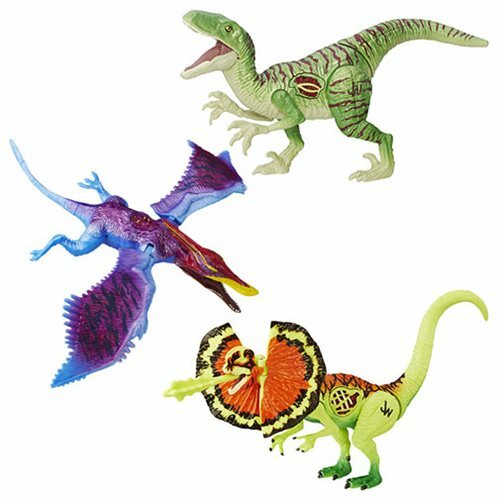 Ad: New Hasbro Jurassic World Pre-Orders are Live at Entertainment Earth! 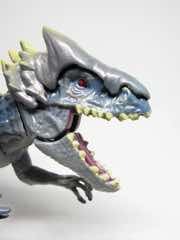 The first-ever Pteramimus - previously unshown at Toy Fair! Stunning new blue Stegoceratops. The deadly Carnoraptor. And of course, the Dilophosaurus Rex. All this and more can be yours if you pre-order yours so you don't miss out! 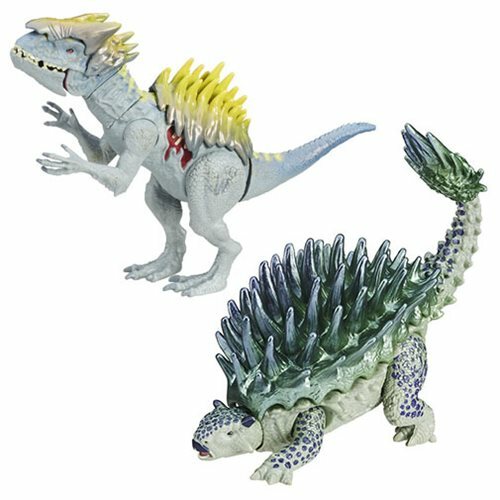 Also, the first shipments of Hybrid Armor Ankylosaurus and Hybrid Armor I-Rex have come and gone - pre-order yours so you won't miss the next shipment! New to the Playstation 4 this week: ABZ�, CANNON BRAWL, GAL*GUN: DOUBLE PEACE, NIGHTMARES FROM THE DEEP: THE CURSED HEART, OVERCOOKED, RISK URBAN ASSAULT, and TRICKY TOWERS. 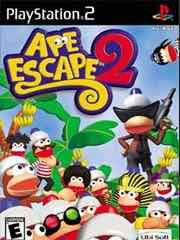 New PS2 classic games this week: APE ESCAPE 2. 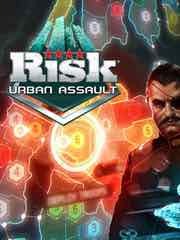 New to the Playstation 3 this week: RISK URBAN ASSAULT. New to the PSP Vita this week: GAL*GUN: DOUBLE PEACE, and LASER DISCO DEFENDERS. 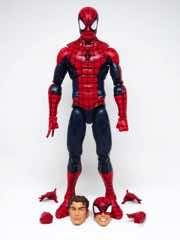 Step on Spider! 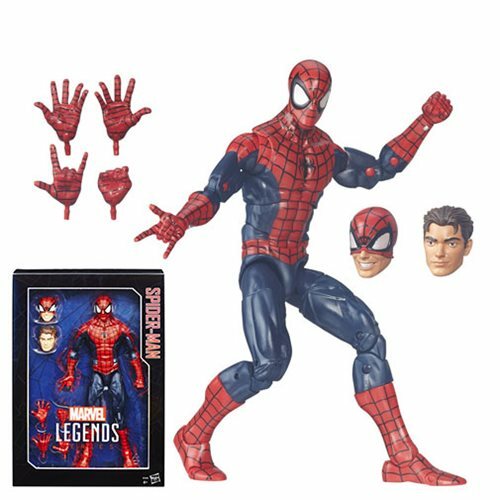 The Hasbro Marvel Legends Series Spider-Man is a huge take on the popular collector line - and it's sturdy! So read on, and come back tomorrow for more! Via Phil: Castlevania - Original Video Game Soundtrack 10" LP! It's a 10-inch record (or: the nerd format) with an original sleeve, 12 tracks from the NES/Famicom original, and the back boasts sequels will get pressed in the future. Yes, the good ones. The current version is grey with black and white splatter - and of course I ordered one. It is $20. A red splatter version was sold at SDCC, but I missed that memo. 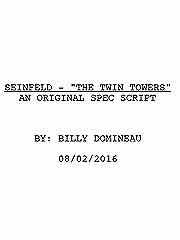 Via the Shaun: Seinfeld - "The Twin Towers". This is a spec script that, well, maybe you've heard of it - it's incredible. September 11 and how the Seinfeld crew reacts to it, totally in character, pitch-perfect in almost every way. It is written by one Billy Domineau, and I have no idea if that's a pseudonym or not. It is worth the read. 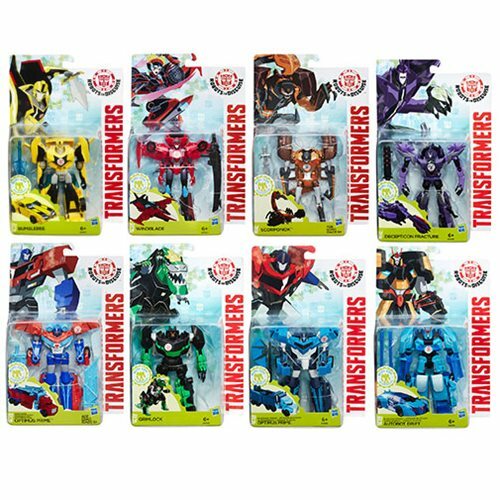 Ad: New Hasbro Transformers Robots in Disguise Pre-Orders are Live at Entertainment Earth! The new Windblade is joined by Power Surge Optimus Prime and Scorponok. Get a case, and get free shipping in the USA! These new guys are due around September. 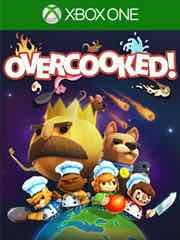 "Overcooked is a chaotic couch co-op cooking game for one to four players. Working as a team, you and your fellow chefs must prepare, cook and serve up a variety of tasty orders before the baying customers storm out in a huff. Sharpen your knives and dust off your chef's whites, there isn't mushroom for error and the steaks are high in these crazy kitchens! Play solo or engage in classic, chaotic couch co-op for up to four players in both co-operative and competitive challenge modes. You'll have to cook a range of different dishes and work together in order to become the most effective and ultimate team!" Also available: Dead Island Retro Revenge, Layers of Fear: Masterpiece Edition, Breach & Clear: Deadline, Dreamals: Dream Quest, Batman - The Telltale Series - Episode 1: Realm of Shadows, and Don't Starve: Giant Edition + Shipwrecked Expansion. Plant man! 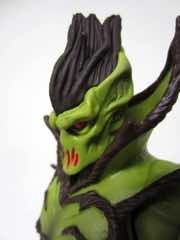 The Mattel Masters of the Universe Classics Evil Seed is from the newer cartoon and looks pretty solid. So read on, and come back tomorrow for more! 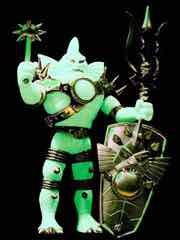 More Knights of the Slice Drop Today - Glyos! 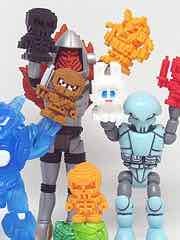 Via the Glyos News Dump: More Knights of the Slice This Week. The Toy Pizza Knights of the Slice are dropping 5 figures on Friday - I picked up one of these at SDCC finally, and man, it's great! 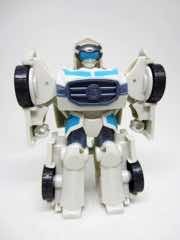 It's a 3 3/4-inch Glyos figure, more or less in the style of what made the old Kenner guys great. I'll be reviewing one in a few weeks. 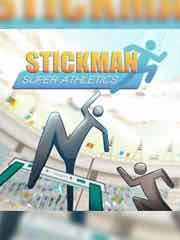 This week's 3DS offerings: Stickman Super Athletics. This week's batch of titles on the eShop: Dragon Skills and Overworld Defender Remix. 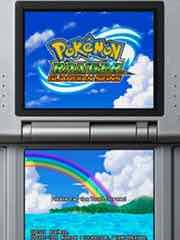 Up for the Nintendo Wii U retro library: Pok�mon Ranger: Shadows of Almia from the Nintendo DS. Perhaps this will foil He-Man! 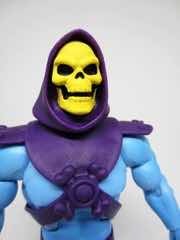 The Mattel Masters of the Universe Classics Skeletor is, most likely, the figure far more people than you realize are dying to get. And it's expensive - so don't miss Beast Man a week from today. So read on, and come back tomorrow for more! 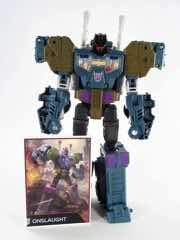 Via Ehobby: Beast Wars Convobat coming to Transformers Legends. It's glorious. 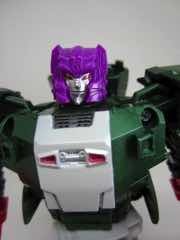 Bat Optimus Primal from Beast Wars has been recreated with the newly-shipping Mindwipe's body, Sentinel Prime's head Infinitus, a tiny Apeface as Optimus Primal, and on top of that Galvatron's head Nucleon as the Gator Megatron head. Wow! No price has been announced, nor has a release date. But I want one. 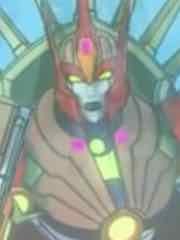 Full details are foggy, but it appears that this may be a new character in the continuity. 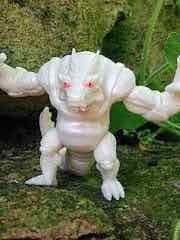 Via the Glyos News Dump: New Albino Goliath - Mystical Warriors of the Ring. White, red eyes. Kansas City Comic Con exclusive! 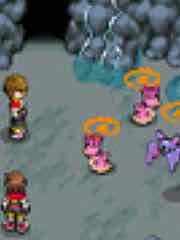 Also there will be more new Kabuto Mushi on August 15 - keep your eyes peeled on The Godbeast's site for more details there. Blue! 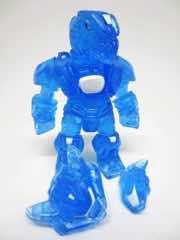 The Onell Design Glyos Armorvor Cosmic Wave is a more or less holographic Armorvor, and it's nifty. So read on, and come back tomorrow for more! "The new console [...] will also offer a 'pixel perfect' display mode that shows each pixel from the original as a solid color square, instead of fuzzying things up via anti-aliased upscaling. It will also offer the option to play in classic 4:3 ratio, and has a simulation feature that mimics playing on classic bubble-fronted CRT TVs." It's due November 11 and as of yet, there's not much of a US pre-order campaign. Keep your eyes open! And let's hope for some surprise features like Amiibo integration - I imagine a perfect world where a microconsole could download a new 8-bit game from a toy figure. I can dream, right? Via the Monzo and Twitter: Gazza found in toys r us in Korea. Entirely on King Poseidon.. 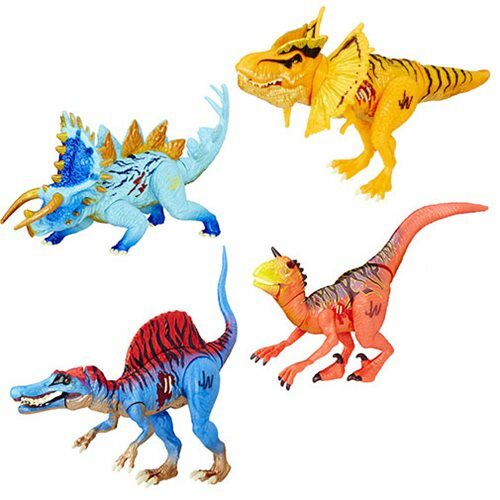 The size is unclear, but one would assume these are miniaturized - the colors are crazy, giving us an example of wacky Seacons from Transformers as you probably wouldn't have even seen them during G2. Current exchange rates peg each capsule at about US $1, meaning I would totally love to buy a set at that price. Not a real iPad! The Hasbro Transformers SDCC 2016 Exclusive Soundwave is silver, the Chinese one is gold. It's more fun than you might expect for a fake appliance - and sold out now. So read on, and come back tomorrow for more! 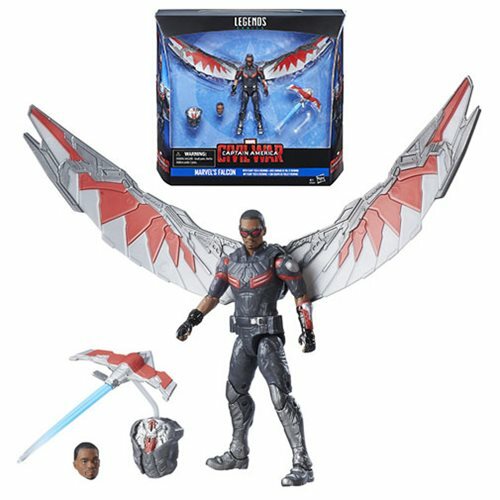 Via HasbroToyShop: San Diego Convention Exclusives Now Live! 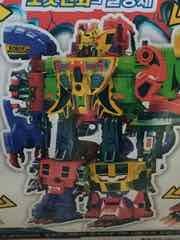 Star Wars, Magic, and Soundwave are gone - but Micronauts and other Transformers? Those are still there. The items aren't cheap, but prices aren't terrible either. Get yours while you can! 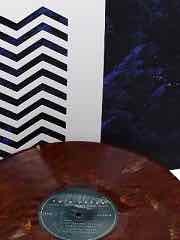 Via Nerdist: Original TWIN PEAKS Score Gets Special Vinyl Release! It's from Mondo, known for 1:6 scale figures, Madballs revitalization, and numerous posters and vinyl soundtracks with fancy artwork. This one comes on Coffee-colored vinyl (of course) September 9. 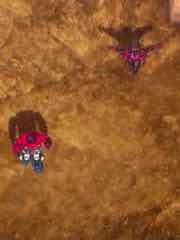 Via Twitter and TFYuki: Transformers: Unite Warriors Takara-Tomy Victorion Teaser! No specifics, other than a sketch to let you know she's coming. Some previously released art gave hints that we may see something decorated differently - perhaps a different faction - but that remains to be seen in plastic. New to the Playstation 4 this week: BLADE BALLET, BRUT@L, CALADRIUS BLAZE, EMILY WANTS TO PLAY, NO MAN�S SKY, and TRANSFORMERS: FALL OF CYBERTRON. 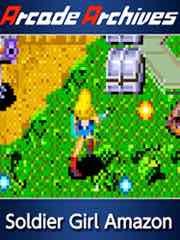 New classic games this week: ARCADE ARCHIVES SOLDIER GIRL AMAZON. New PS2 classic games this week: INDIGO PROPHECY. Bodyless! The Hasbro Transformers Generations Titans Return Terri-Bull is a tank/jet/head thing, and it's a lot of fun. So read on, and come back tomorrow for more! Via RetroUSB, makers of some new NES carts: Introducing the AVS from RetroUSB! 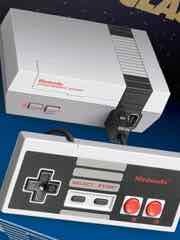 It's a new NES clone with 4 controller ports and it costs $185.00. The console is due around September and boasts HDMI support and zero lag - and can be powered by USB. 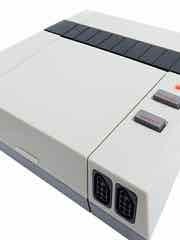 It looks and sounds interesting, so give this a thought if the mini NES proves hard to find. It sounds pretty fantastic, and the RetroUSB crew has a pretty nifty level of output. "Colored blocks fall, and they keep falling. You rotate them, and drop them. Faster and faster you align the pieces, creating links of matching color, filling in gaps. You touch a block with a detonator and the entire chain explodes. The blocks above them drop, another detonator touches, and another chain is gone. Then another. 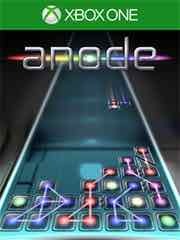 Invite a friend over, plug in some controllers, and dive into frantic competition. Complete long chains to send blocks to your opponent’s side, or use offensive items to trip them up. 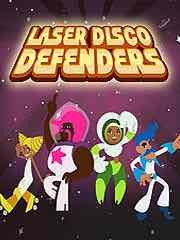 All to a pulsing soundtrack with music that gets more intense as your bin fills!" Also available: #KILLALLZOMBIES, The Banner Saga Complete, and TRANSFORMERS: Fall Of Cybertron. Johnny Fever Where Are You Now? White Devil! 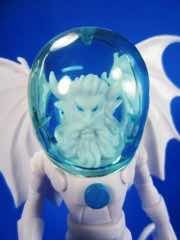 The Four Horsemen Outer Space Men White Star Mystron Action Figure is another plain alien. So read on, and come back tomorrow for more! 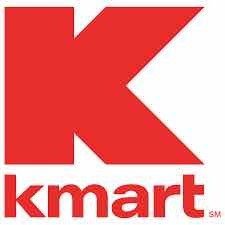 Via the Business Insider: Sears and Kmart just closed nearly 80 stores - see if your local store is on the list. Mercifully none of my haunts are gone, but how did you fare? 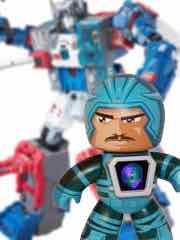 Via the YouTube: SDCC Fortress Maximus Cerebros Easter Egg. Want to hear some music? Well, this version has it - the regular retail version does not. And as of now, we still don't know what the Japanese one is going to do. I've got the regular one but I'd be lying if I said this wasn't cool enough to make me wish I had the other version. Such is life. 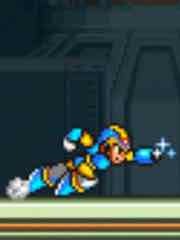 This week's 3DS offerings: The New 3DS has Mega Man X. This week's batch of titles on the eShop: Tadpole Treble, Surfin' Sam - Attack of the Aqualites, and 360 Breakout. 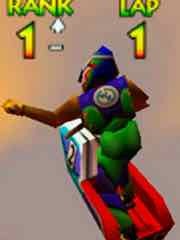 Up for the Nintendo Wii U retro library: Mario Sports Mix from the Nintendo Wii and Wave Race 64 from the Nintendo64. Crab people! The Hasbro Transformers Generations Titans Return Crashbash is a decent head update of Squeezeplay, or Cancer in Japan. So read on, and come back tomorrow for more! 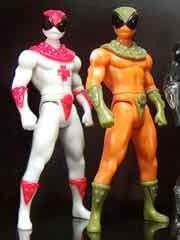 Via the Outer Space Men and the News Blog: The Outer Space Men Continue - 3 More Figures by October. Read the article for everything, but here's the skinny. Colossus Rex 2.0 - the scarce figure from 2013 is back with gold (rather than purple) accessories and a deeper, bluer green tint among other minor changes. It will be sold online at TheOuterSpaceMen.com as well as at Star Trek Mission New York and New York Comic Con. Gamma X Cosmic Radiation - the figure will be cast in glow plastic for the first time and will be sold at Star Trek Mission New York. Colossus Rex Cosmic Radiation - the figure will be cast in glow plastic for the first time and will be sold at New York Comic Con. Via October Toys: August 2016 Releases. The purple OTMFG Brainwaves was previously sold at San Diego Comic-Con this year. Lime Green is, I believe, new to this drop - and they will be joined by a gorgeous OTMFG pin. They go on sale today at Noon Pacific. Be there, or don't. Over 2,700 are on sale right now - but only while supplies last. Click through and get an amazing deal now! 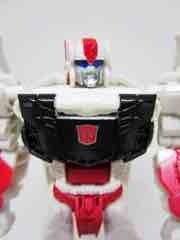 Oh, and get yourself Computron - a new toy at regular price - while you're at it. She's got a new hat - and jacket! 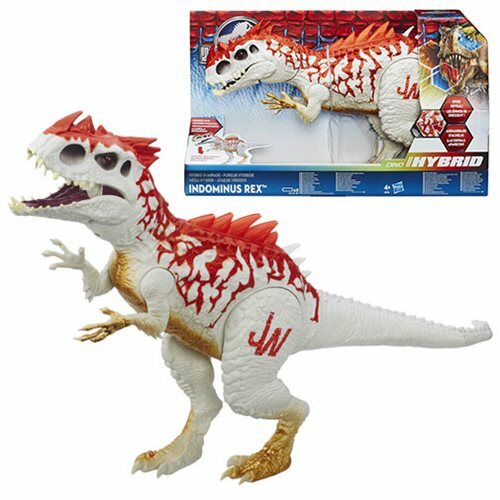 The Hasbro Jurassic World Hybrid Armor Indominus Rex Action Figure is a just-released figure, which you may be lucky to find online if at all. So read on, and come back tomorrow for more! 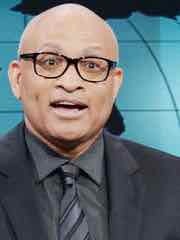 "'The Nightly Show with Larry Wilmore' will call it a day after Thursday's episode. ... Comedy Central is developing a project with 'Daily Show' contributor Jordan Klepper that could be a potential successor to 'Nightly' in the post-'Daily Show' slot. But Alterman said it was unlikely that any new program would be set before the start of the year." But this was disturbing: "[The show] had failed to gain ratings traction with the cabler's core demo of young adults, nor were there positive signs for the show in key social media metrics." As an old person, the strange emphasis placed on social media - which does not really have an impact on things like sales as far as I know - is curious. Who cares? Low ratings, sure. I'm a fan of the show. But social? That's just sort of terrifying to think that what's trending could be what decides the future of entertainment and its survival. The show has a pretty fantastic stable of funny people who you may as well watch before they go off to whatever comes next. 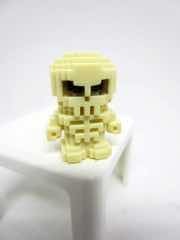 Skeleton pixel figure at a discount! The Bit Figs Ninja Series 1 Ku is a dirt cheap small figure you should buy if you can find one. So read on, and come back tomorrow for more! Via Go90: Transformers: Combiner Wars S1:E3 The Duel! 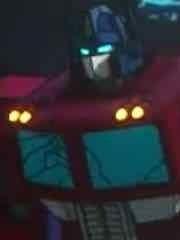 Optimus fights Windblade for about 5 minutes. Is it me or are there some strange audio glitches? New to the Playstation 4 this week: OLLIOLLI: EPIC COMBO EDITION, SOLBRAIN KNIGHT OF DARKNESS, THE HUNTSMAN: WINTER�S CURSE, UNO, ADVENTURE CAPITALIST, BATTLESHIP, BOUND, DOODLE DEVIL, GROW UP!, and INVERSUS. 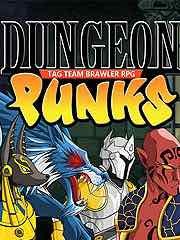 New to the PSP Vita this week: DUNGEON PUNKS. Head! 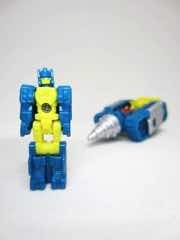 The Hasbro Transformers Generations Titans Return Nightbeat is a toy-esque head for a character most famous for his comic appearances. So read on, and come back tomorrow for more! 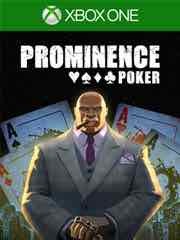 "Welcome to Prominence Poker, a game that pits players from around the world against each other and devious AI to build the rep, prestige, and bankroll needed to be, and beat, the best of the best. Beyond solo play, gamblers will find a deep multiplayer experience with regularly scheduled events, daily challenges, tournaments, ranked modes, and even more as the game evolves over time." 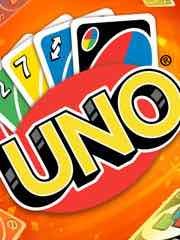 Also available: Baila Latino, GROW UP, Valentino Rossi The Game, and UNO. Tagged! 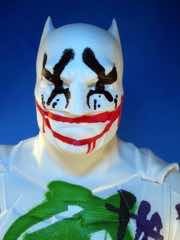 The Jakks Pacific Batman v. Superman: Dawn of Justice Batman brings you a white Ben Affleck Batman figure covered in paint. So read on, and come back tomorrow for more! Via the Shapeways: NES Inspired Zapper Gun w' 5mm Grip. 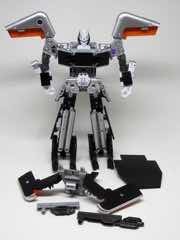 The 3-D printed toy weapon is $5.50, and is from the guy who brought you BMOG. 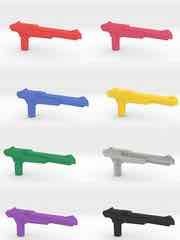 It's a 5mm grip, so it should fit your Transformers and many Teenage Mutant Ninja Turtles action figures. Sighted at Toys R Us retail stores (and this is a link to buy it online from Entertainment Earth): Nintendo 2 1/2-Inch Mini-Figure Wave 9 Case. I picked up the Metroid, which was $6.99 (!) for one individual figure at the Toys R Us. 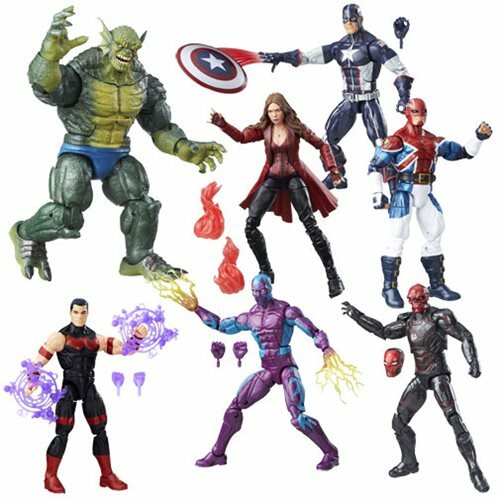 A case of 16 figures online is $83.99, or $5.25 a figure. I've seen these guys as low as $3.99 lately, but $5 seems to be more of the norm. 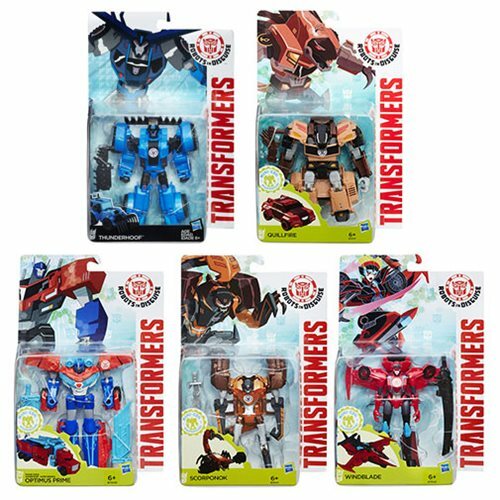 I can personally vouch for these showing up, alongside things like the "Clash of the Transformers" exclusive assortment. 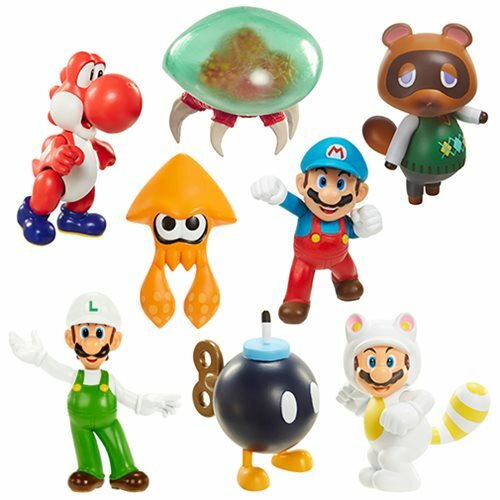 Due to the color change of the packaging, odds are any non-Mario (non-red) figure will go quickly because it stands out on the racks. In other words, best of luck finding the Metroid, as well as Orange Squid and Tom Nook! Although on the latter two, there are always Amiibo figures. This week's 3DS offerings: Power Disc Slam, Blasting Agent: Ultimate Edition, Word Logic by POWGI, Brick Race, Kingdom's Item Shop, Touch Battle Ninja, and Metroid Prime: Federation Force. This week's batch of titles on the eShop: Ziggurat, Poncho, MikroGame: Rotator, Collateral Thinking, Armikrog, Adventure Party: Cats and Caverns, Word Logic by POWGI, and Blasting Agent: Ultimate Edition. Up for the Nintendo Wii U retro library: Pok�mon Ranger: Guardian Signs from the Nintendo DS. The new one! The Playskool Transformers Rescue Bots Quickshadow is the line's first girl, and she turned out pretty well as this line goes. So read on, and come back tomorrow for more! Via Ehobby: Meet Roxxalag, Infernicus, and Thanyr - Galaxxor Monday Night. 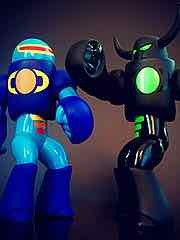 8:00 PM Central, $30 a pop, Glyos-compatible vinyl. Don't miss 'em. Over 2,700 are on sale right now - but only while supplies last. Green and yellow! The Hasbro Marvel Legends X-Men Marvel's Phoenix is possibly hitting a store near you, I never see more than 1 figure from this wave at a time lately. So read on, and come back tomorrow for more! If you thought audiophiles were fun, now there's a video game equivalent. 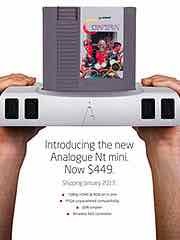 Read this: Introducing the new Analogue Nt mini. Now $449. It's one of a few higher-end NES clones, with a wireless controller, RBG and HDMI support, and supposedly works with dang near everything - Zappers included. This is some amazing hardware and it's just a wee bit on the pricey side. But for those seeking the best of the old, this might be it. I don't assume there will be many in-depth comparisons between the NES players coming due to the investment involved, but dang if it doesn't look impressive. The original, larger Analogue Nt got pretty great reviews. If you're rich, you should buy this site one come January 2017 when it is released. What else are you going to do with the money, spend it responsibly? Good grief! 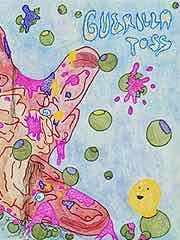 If you're like me you're a fan of the band Guerilla Toss, but their prolific nature means there are new albums every few weeks. It's hard to keep up. I just found out that a new repress of the Jeffrey Johnson 12-inch LP has been released. And when I tweeted about it, the band tweeted back. @Adam16bit putting the finishing touches on our next LP this weekend! They said they were "putting the finishing touches on our next LP this weekend!" Yowza. Well, now's the time to buy this stuff, kids. She looks familiar! 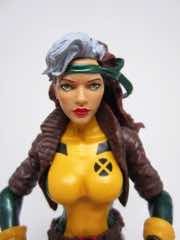 The Hasbro Marvel Legends X-Men Marvel's Rogue is a nicely jointed take on the character you saw a lot in the 1990s. So read on, and come back tomorrow for more! 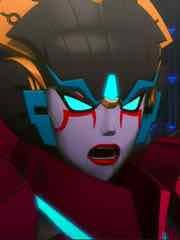 Via Go90: Transformers: Combiner Wars S1:E4 Unforgotten! This one ain't bad. 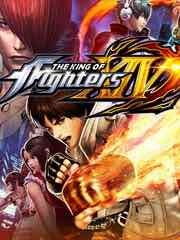 New to the Playstation 4 this week: THE KING OF FIGHTERS XIV, ABSOLUTE DRIFT: ZEN EDITION, ALONE WITH YOU, ARMIKROG, VALLEY, WORMS W.M.D., BIG CITY STORIES, DEUS EX: MANKIND DIVIDED, INSIDE, MADDEN NFL 17, METRICO+, and PROMINENCE POKER. 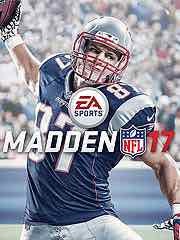 New to the Playstation 3 this week: MADDEN NFL 17. 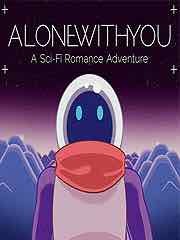 New to the PSP Vita this week: ALONE WITH YOU. BAAHHHHH! 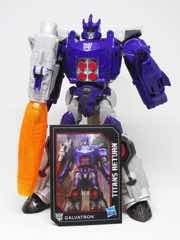 The Hasbro Transformers Generations Titans Return Galvatron is a toy you've been wanting, and it will also leave you wanting for the next one. So read on, and come back tomorrow for more! 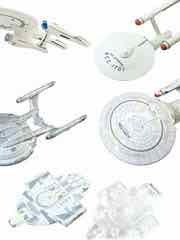 Via NCS: Star Trek Fleet Collection Candy Toy! It's a series of small ships including many flavors of the Enterprise and two Defiants. They're on the happy side of small, but take a look. They ain't bad. 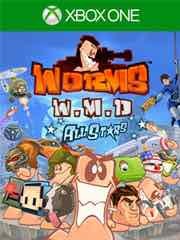 "Worms W.M.D is the best worms experience ever. Work your way through 30 campaign levels of increasing difficulty using the huge arsenal of new and classic weapons at your disposal. Use new vehicles to cause chaos amongst the enemy ranks and use buildings to gain the tactical advantage as you try to dominate the battlefield! Take on up to five opponents in hilarious all-out tactical worm warfare with up to eight worms each, either in local or online multiplayer, including ranked play. With 80 weapons and utilities at your fingertips, this is Worms at its chaotic best!" Also available: Valley, Madden NFL 17, Deus Ex: Mankind Divided, and Armikrog. Two faced! 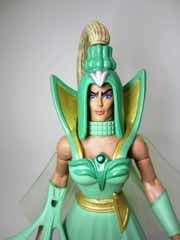 The Mattel Masters of the Universe Classics Double Mischief is a gem who, I assume, would be played by Busy Philipps in the movie. So read on, and come back tomorrow for more! 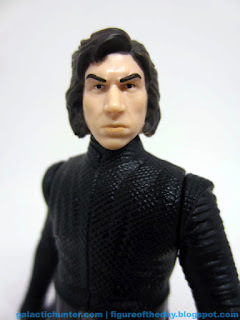 Via the Star Wars Galactic Hunter Figure of the Day Blog: Kylo Ren Unmasked. Also, we're back for a while. This figure looks a heck of a lot like Adam Driver with clearer, less colorful skin - but it's him! And he's big! Read the whole review already. 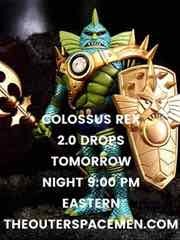 Via the Outer Space Men News Blog: New Outer Space Men Friday Night - Colossus Rex Returns. TheOuterSpaceMen.com, 9:00 PM Eastern, and it's a little bluish. This week's 3DS offerings: Phoenix Wright: Ace Attorney - Spirit of Justice - Demo Version. 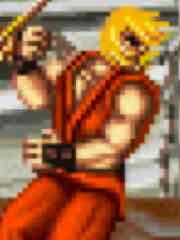 The New 3DS has Street Fighter Alpha 2, Super Street Fighter II: The New Challengers, and Street Fighter II Turbo: Hyper Fighting. 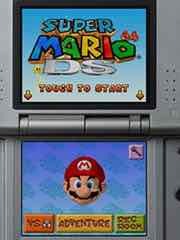 This week's batch of titles on the eShop: Up for the Nintendo Wii U retro library: Super Mario 64 DS from the Nintendo DS. It's OK! The Hasbro Transformers Generations Combiner Wars Onslaught had some weird form fits initially, and later uses of this basic mold had weird knees. This one, from 2015, had some weirdness with the fists fitting together as shoulders in combined mode. So read on, and come back tomorrow for more! 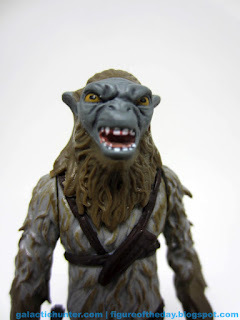 Via the Star Wars Galactic Hunter Figure of the Day Blog: Hassk Thug. It's a nice toy figure - it looks like a cool alien that was derived from old McQuarrie art, but it could be truer to the on-film look of the alien triplets. Read the whole review already. Via Kickstarter: Creeplings: spooky blind box collectible miniatures by FrankenToys inc. I've never heard of 'em either, but they're 65% to their goal and they may be relevant to your interests. Creepy or spooky doesn't feel right, but they might interest people in your life who enjoy certain toys and artworks. Take a look! If nothing else, you can say you saw them before they were famous. 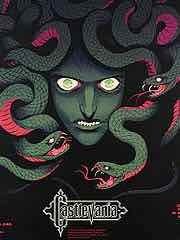 Ad: Hot New Pre-Orders, Arrivals, and Discounts! Get new stuff from Gentle Giant. Did you miss Black Series Asty and Hux? Get those. How about the new Astromech Droids? Snag those while you're at it. 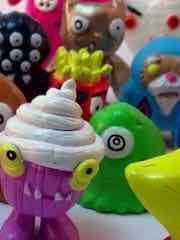 Fleshy figures! The Suckadelic S.U.C.K.L.E. Series 2.5 Flesh Mini-Figures is a bagged set you should probably buy if you like this kind of thing. So read on, and come back tomorrow for more! 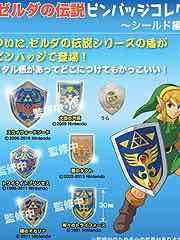 Via NCS: Legend Of Zelda Pin Badge Collection Shield Version and Pokemon Gym Badge Indigo League. Yowza. The Zelda set is $20.90 with 6 pins. Pokemon has 8 pins for $32.90. Lady Hordak? Not quite! 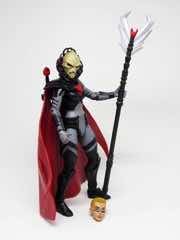 The Mattel Masters of the Universe Classics Despara is She-Ra in Hordak gear. So read on, and come back tomorrow for more! Via Go90: Transformers: Combiner Wars S1:E5 Homecoming! Lots of jumping, lots of posturing, and some broken toys at the end. Worth seeing? Let's say yes. 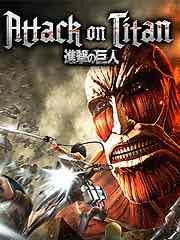 New to the Playstation 4 this week: ATTACK ON TITAN, ASSETTO CORSA, 140, BEARS CAN�T DRIFT! ?, BINARIES, BLACK & WHITE BUSHIDO, CLAIRE, Four Sided Fantasy, HUE, LIVELOCK, NEBULOUS, ONE WAY TRIP, RESIDENT EVIL 4, ROCKETSROCKETSROCKETS, THE FINAL STATION, VERDUN, STRIKE VECTOR EX, God Eater 2, and Hatsune Miku Project Diva X. 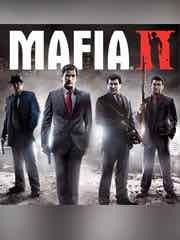 New to the Playstation 3 this week: MAFIA II REMASTER and ATTACK ON TITAN. 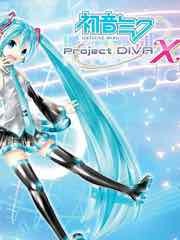 New to the PSP Vita this week: HATSUNE MIKU: PROJECT DIVA X, CLAIRE, and ATTACK ON TITAN.